Use Glass Countertop Displays to highlight and promote premium merchandise. Retail counter display version of full size showcase is designed to merchandise smaller items and increase impulse buying. This hexagonal countertop showcases have strong, black aluminum framing with tempered glass and features six 20W bulbs: three at top and three at sides. Switch the included halogen lights with our LED lights, sold separately. Search items 4997 and 4998. 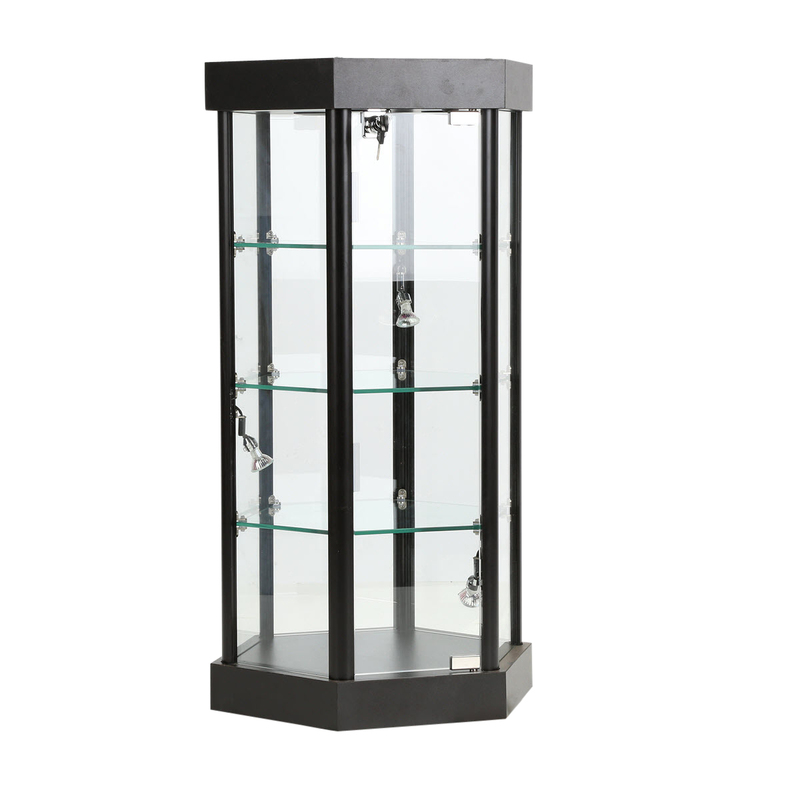 Three tempered glass shelves and a locking glass hinged door. 7 in. between shelves. Ships fully assembled.